Together with my fellow ambassador CopMike I'm running this survey to find out which new parts and/or new colors you would like LEGO to produce. We guarantee your feedback will be delivered to LEGO via our various channels, so here's your chance to be heard! Only make one post in this thread per member. If needed you can later edit your post and add more part requests and/or color requests. - Part description: --> use any means you think necessary to explain us what you have in mind like drawings, pictures from the Internet, words, etc. If we don't clearly understand what you mean we can't present your suggested part to LEGO, so do your best! - Part usage: --> explain why you believe LEGO should produce this part. Why is it important to you and potentially others? - Color usage: --> explain why you believe LEGO should introduce this new color. Why is it important to you and potentially others? - Part description: A head similar in shape to the elephant head. It will use he same connection to the body and body as the elephant from the adventurers line. In the front there will be 2 holes for the horns, in the one in te front the 'Barb Large (Claw, Horn)' part, in the back hole the 'Barb Small (Helmet horn)' part. - Part description: A head similar in shape to the elephant head. It will use he same connection to the body and body as the elephant from the adventurers line. It woul have a hinge(maybe) and two holes in the mouth for the teeth. The teeth would be the 'Barb Small (Helmet Horn)' part. - Part description: This would be a great way to introduce a new horse mold. It would be a horse with a zebra pattern. It would also include a striped 2x2 brick and tile to put where the sattle would usually go in the new mold. - Part description: A large cat mold. The legs would be unmovable and the male would include a mane, while the female would not. This part couls also be used for a tiger or other big cats. - Part description: A edit of the pig mold to add holes in the front where the 'Barb Small (Helmet Horn)' part could be placed. - Part description: A small lizard part that's about as big as a snake with a stud on the stomach. - Part description: An eagle mold, bigger than an owl mold, with printed details like the new HP owls. - Part usage: Could be used in a zoo, city, aviary, safari, or any other set with birds. It could even be made in gold with no printed details for a statue. - Part description: A mold that looks like a seal. It would have printed details like the new HP owls. - Part usage: Could be used at a zoo, aquarium, beach, underwater, or ocean set. It could even be made in gold with no printed details for a statue. - Part description: Similar to the seal mold, but bigger and bulkier. It would have 2 holes in the front so that there can be bothe male and female walruses. - Part usage: Could be used at a zoo, arctic, aquarium, beach, underwater, or ocean set. It could even be made in gold with no printed details for a statue. - Part description: A seagull mold. About the size of a parrot mold with printed details. - Part description: Around the size of the current dog mold, although much wider. It would also have printed details. - Part usage: Could be used at a zoo, farm, hunting, historic, or a Thanksgiving set. It could even be made in gold with no printed details for a statue. - Part description: A baby version of all of the animals listed above. - Part usage: Any usage that has been listed above aswell as a nursery. - Part description: A mold for a Bothan head. - Part usage: As a Bothan or any other alien. - Part description: A 1x1x1 and 1/2 head. - Part usage: In any set with Ki-Adi Mundi or as a generic alien. - Part description: A multitude of Naboo fishes. Link to pics can be found at the bottom of the SW section. - Part usage: As alien fish or as alien food. - Part description: A head mold for Boss Nass. - Part usage: As a generic alien or as Boss Nass himself. - Part description: A Naboo creature that was used to pull battle wagons. - Part usage: An alien zoo or a Naboo set. - Part description: An Eopie mold. It would have parts that bags could connect to. - Part description: A Clone Wars Clone helmet without a fin. - Part usage: Your clone army. - Part description: A Bith head. It would be wider on the top and 1x1x1 and 1/4. - Part usage: For a MOs Eisly Cantina or any set with a Bith. Could also be used by a generic alien. - Part description: A helmet for Nemodian Pilots. - Part usage: A Nemodian Pilot and anything else with a tall helmet. - Part description: A cone with droid printing. - Part usage: A multitude of droids. - Part description: A Rebel Helmet without the hole for the visor and a shorter back. - Part usage: Can be used for a Jedi Temple set. - Part description: A torso with an extra long neck. The arms and legs are recolored Toy Story arms and legs. - Part usage: For any alien with an extra long neck. - Part description: A head that looks like an Aqualish from SW.
- Part usage: Any alien or an Aqualish. - Part description: A head that looks like the Quarren from SW.
- Part usage: Could be used as a generic alien or a Quarren. - Part description: A head that resembles the head of the Ithorian from SW.
- Part usage: Can be used for a generic alien or an Ithorian. Could especially be used in a Mos Eisly Cantina set. - Part description: A mold to resemble a Kybuck. It would have a hole in the back for a saddle. - Part usage: Could be used for an alien zoo, a Kashyyyk set, or a Attack on Coruscant set. - Part description: A mold that resembles a Gelegrub from Felucia. A 2x2 are with studs would be located on the back so that minifigs could ride it. - Part usage: Could be used for an alien zoo or a Felucia set. - Part description: The headset that Lobot wears. It would be able to fit on a normal minifigure head and it would snap into posistion. - Part usage: Could be used for any cuborg minifig. - Part description: A medical droid from Star Wars episode 3 and 5. It would have clips to connectt robot arms to on the side. - Part usage: For any medical droid or a Hoth Diorama. - Part description: A head mold to look like Max Rebo. - Part usage: This would be great for a Jabba's Palace set or any other set that could feature an Ortuloan. - Part description: A helmet that resembles Boushes. - Part usage: It could be used for a Jabba's Place set. - Part description: A torso with an extra set of holes for the arms. - Part usage: Could be used for a Dex Minifig or any other alien that has 4 arms. - Part description: The Aqua droids from the Clone Wars season 3 premier. - Part usage: Could be used as any type of droid. - Part description: The helmet that ARC troopers wear in Season 3 of the Clone Wars. I know what you're thinking, LEGO will never make Halo sets. But if they were smart they would. The Halo franchise has so many possibilities, and with Reach there are so many more sets that could be made. It would most likely even be popular with kids even if they havn't played the game. - Part description: A helmet with an open spot in the front for a visor, would include a visor. - Part usage: A helmet on any armored army minifig. - Part description: Armor that goes on the minifigures body. - Part usage: Armor for any minifigure. - Part description: A mold for the Grunt, would include arms, legs, head, and body that can detach and reattach. - Part usage: A generic alien or as a Grunt. - Part description: A mold for the Elite, would include arms, legs, head, and body that can detach and reattach. - Part usage: A generic alien or an Elite. - Part description: A mold for the Hunter, would include arms, legs, head, and body that can detach and reattach. - Part usage: A generic alien or a monster or a Hunter. - Part description: A mold for the Jackal, would include arms, legs, head, and body that can detach and reattach. - Part usage: A generic alien or a Jackal. - Part description: A mold for the Brute, would include arms, legs, head, and body that can detach and reattach. - Part usage: A generic alien/monster or a Brute. - Part description: A rocket launcher mold, the barrels would be detachable to reaload. - Part usage: A rocket launcher. - Part description: A battle rifle mold. - Part usage: A gun that can be used by anything. - Part description: An assault rifle mold. - Part usage: A gun that can be used for anything. - Part description: A magnum pistol mold. - Part usage: A pistol that can be used in any situation where a pistol is necessary. - Part description: A flamethrower mold, the canister would detach for reloading. - Part usage: Any situation where a flamethrower is necessary. - Part description: A sniper rifle mold, would include a detachable stand. - Part usage: Any situation where a sniper is necessary. - Part description: A Plasma Pistol Mold. - Part usage: An alien gun. - Part description: A Plasma Rifle Mold. - Part description: A Needler Mold. - Part description: A Mauler mold. - Part description: A Needler Rifle mold. - Part description: A Fuel Rod Cannon mold. - Part usage: A heavy alien gun. - Part description: A Covenant Carbine mold. Parts with no particular theme. - Part description: A minifig torso that slowly curves down to where the legs would normally connect to the ground. - Part usage: Anything that uses a dress. - Part usage: Just about everything. - Part description: An inside cornered cheese. - Part usage: Anything where you would need a cheese slope in a corner. - Part description: An outward cornered cheese. That's al I have for now. I'll probably come back to post more later. Here's few ideas i've been tossing around. - Part description: --> a 1x1 cheese slope with a stud on the sloped part of the element. - Part usage: --> Anywhere from mecha legs and arms to mounting plates on a slope like one would do with a roof. - Part description: --> Pair of headphone that will fit around a minifigs head and hair. - Part usage: --> Minifig customizing, music nut. - Part description: --> Two sizes, on that would fit a 1x2 tile, and one that would fit a 2x2 tile. the element would have a slot where a lite would be able to slide in. - Part usage: --> Could be placed in a house, or be hanging on the wall. - Part description: A part similar in size to the current pig (or slightly smaller) but of a sheep. - Part usage: Would complete the farm theme by adding a classic farm animal. - Part description: Like this windscreen only 6 studs wide. - Part description: Like the 2 x 2 techinc plate above but with no studs. - Part description: --> Moped like this using the wheels and tires used in the old motorcycle design. Wheels attached, it should be 1 or 2 studs off of the ground, with a space at the bottom for a 1x1 brick. Behind the where the minifig sits, a single stud. At the front and back, a stud sideways to attach plates for headlights. - Part usage: --> Any city set involving a street. - Part description: A window like this but 1 brick taller. Edited August 19, 2010 by FixBayonets! - Part description: This hat is exactly one-half as tall as the standard minifig top hat, and exactly the same in all other dimensions. It should be produced in tan, dark tan, and white. - Part usage: This hairstyle would make lego female minifigures look real pretty. Many lego fans would love it, it would be a nice addition to the hairstyles. - Part description: Well, a stud without a stud. - Part usage: For finishing off round structures. Detailing - imagine a printed version for ventilations. - Part usage: For more advanced building - easily changing the direction of the studs. - Part usage: Anywhere 1x8 is too long and 1x2 is too short. - Part usage: Anywhere 1x2 is too wide. Would be great for greebling as well. - Part usage: For finishing off corners on small buildings or details. Would also be great for greebling. I also second the inverted cheese slope above. - Part description: A cone 2 x 2 x 2 that has been sliced in half, with one stud on top, the rest of the top surface is smooth. A bit difficult to get it right, fitting in with the system, but the fez works as "Cone 1.17 x 1.17 x 2/3"... Perhaps the fez piece could fit on top of this? - Part usage: Head piece for R5 Astromechs, but also for architectural use. 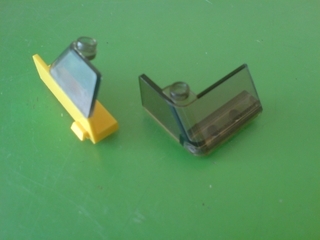 Part Description: IR Receiver with Red / Yellow or Interchangable housing (on the upper portion) so that it can be better hidden in small MOC's. Part Description: Small PF Motor like the old Micromotors. It would come in handy in many technic models / situations, and powering LA's directly. However it was not done for the new motorised excavator so might not be feasible. Part Description: A Small servo mechanism which is operates over a limited range (but with high torque). C0 = 0, C1 = 0. Servo is off (or returns to neutral). C0 = 1, C1 = 0. Servo goes to max counter clockwise position (e.g. -90 degrees over 2 seconds). C0 = 0, C1 = 1. Servo goes to max clockwise position (e.g. 90 degrees over 2 seconds). Part Usage: Easily modified to work with train points, provide steering mechanisms in cars, trucks etc. Can also be worked into smaller mechanical systems. When combined with the Pneumatics system could also provide remote control of pistons. Part Description: A normal 1x2 brick but with the hole running through the long axis (not in the front face). Could be considered as 2 1x1 technic bricks with holes aligned. Part Usage: A lot of MOC's and Creator designs make use of axles through brick elements, e.g. for holding wheels / gears etc. However putting two 1x1 bricks with holes side by side can lead to problems if the bricks are not perfectly aligned; binding upon the axles and causing added friction. Such a brick would reduce this and enable interesting Lego designs. E.g. using technic elements to build digger constructions. Part Description: Similar to BBB Medium wheels, and the current train wheels with technic axles, but with the added advantage of a technic connector point to add rods etc. Part Usage: Improved train designs for smaller steam / electric locomotives. Can also be used in conjunction with Lego Pulley Wheels to provide alternative driving mechanisms. Note in BBB wheels the offset between axle and hole is less than 1 stud, unlike the pulley. uses : water details\ ice \ car lights \ clear sculptures and more..
and would not create tube arches and pneumatics will also can be put in small models because the main problem of movement is the hoses that are bent. 4.a double universal joint : approximately 3 studs wide double u-joint : in order to make full suspension in smaller vehicles and allowing to move height to gears more easily OR a small CV joint that can be connected with a special axle that can go trough a stud hole : that way building will be much more challenging and many options will be revealed. - Part description: A torso with four holes for four arms. - Part usage: Lots! You could use it for a lego dexter jettster minifigure, A spider mutant, anything! I'm sure every lego fan will buy the set this is included in. - Part Description: The head similar to chewbacca, wookiee warrior, watto, and the Dexter Jettster head used in LEGO Star Wars and LEGO Star Wars The Complete Saga. - Part Usage: A lego Dexter's Diner, or another great peice for an alien. -Part Usage: Everyone loves the simpsons! Even children. Even without a contract with Fox or Matt Groening, releasing something like that will make everyone want that set! -Part Description: A head similar to standard spiky hair, but instead of spiky it should be rounded. It should also be trans-green. -Part Usage: Wat Tambor is almost Everybody's favorite member of the Separatists. Like my other ideas, these are in high demand by me, my friends, and a huge percent of lego. This is just an idea for part 4. The face mask should be attached to the chest plate. The head should be a standard plain trans-green minifigure head. 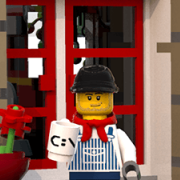 - Color Usage: Well, people love to make a large variety of minifigures. 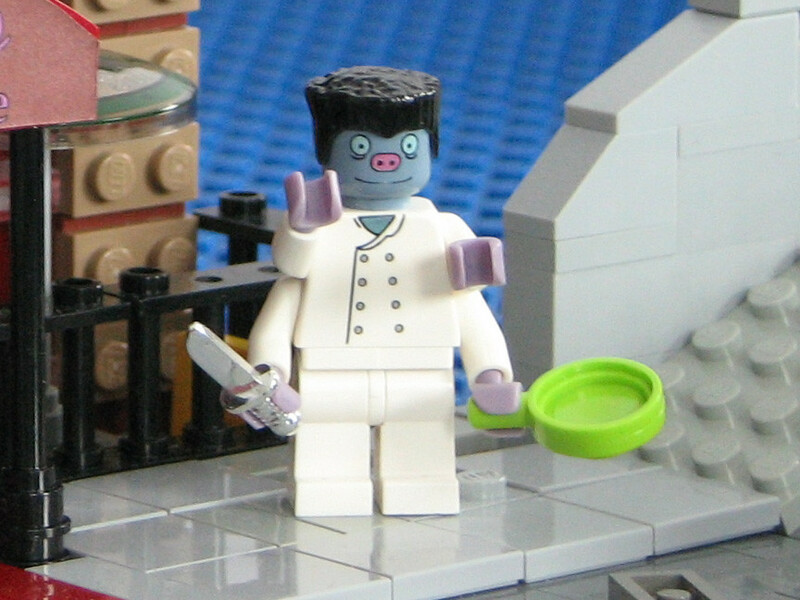 Also, people make minifigures of themselves, an those with this hair in black (like me) yould be very happy. -Color Usage: This can be used as a Quarren, an alien species from star wars. This could be used in a Dexter's Diner set (wink wink). Kids could use the head to make a new jedi, or maybe he could be a victim when a bounty hunter is searching for his bounty. a full four sided building with removable top. 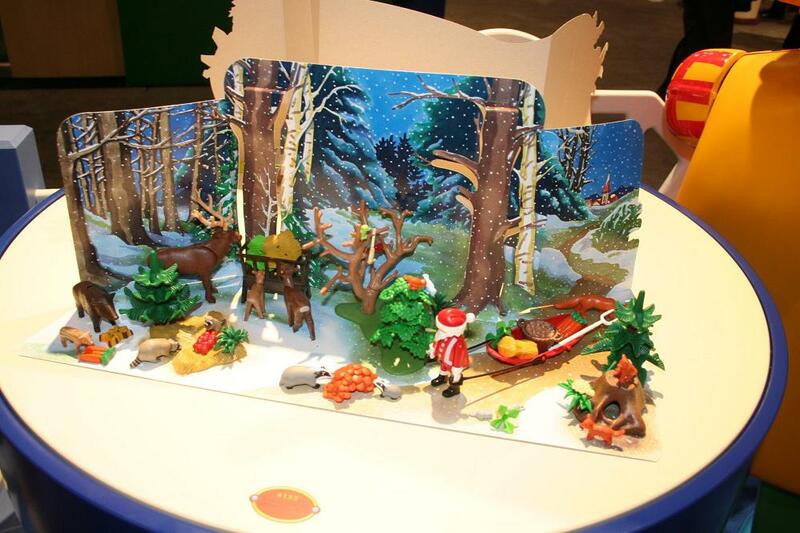 In the medieval market village item #10193 there are a couple of smaller animals you have to build. - Part usage: --> these animals could be used in with a farm set, zoo set, or any type of castle set. 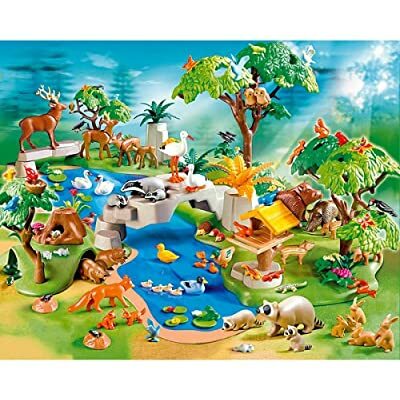 - Part usage: -->these animals could be used in with a farm set, zoo set, or any type of castle set. 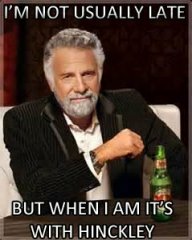 I also like the post on sheep, lizards, Warthog, Lion, Rhino, Hippo, and any other animals.. 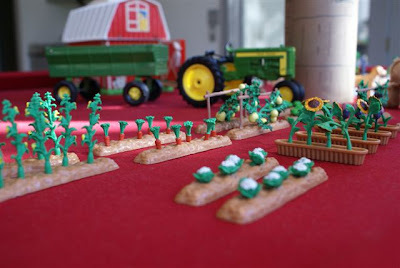 I think Lego should come out with a bigger farm set that includes more animals and plants, rather than machines and a few cows and pigs. Cows and pigs are a plus. But if there is no crops like corn or sun flowers to harvest, what are you supposed to do with the harvester? does it just sit there and you pretend it is broken because there are no crops? or do you roll play global warming and there are no crops after the drought or wild fires? 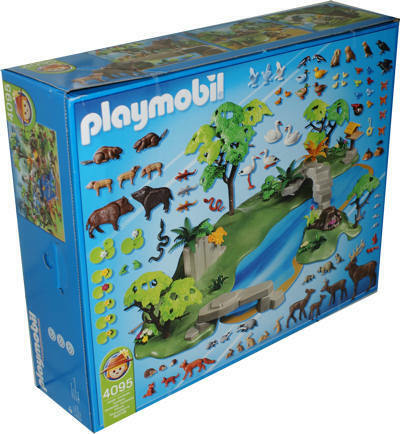 Take a look at this play mobil set..
we need a set with more animals plus crops.. The point I am trying to make is that most kids usually play with PLAY MOBIL because Lego doesn't have it all like Play Mobil.. Most kids start off with Play Mobil and then go to Lego, or they have both... If Lego made more sets that PLAYMOBIL has, people would stop buying playmobil as much and buy more legos..Lego needs to look at what playmobil is doing and do it too..
Supply and Demand.. Lego won't Supply.. But we Demand it.. 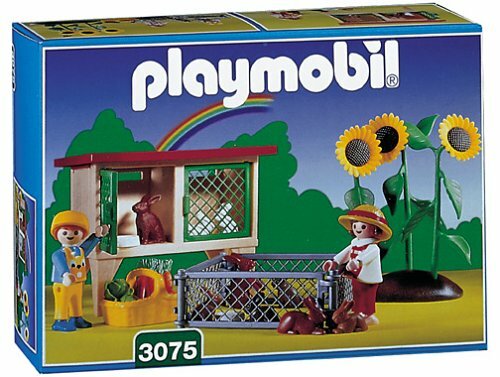 PLay mobil has it... It is the basics of economics..
- Part usage: Anywhere from mecha legs and arms to mounting plates on a slope like one would do with a roof. - Part usage: Perfect for any alien, mutant, etc. Would be very popular. - Part description: Imagine a 1x1 plate, with studs on both sides! - Part usage: It would be revolutionary! I can imagine dozens of new techniques that will be invented that revolve all around this one piece. - Part usage: For finishing off round structures. Detailing. Many uses. - Part description: This PF receiver is just a brick (could be 4x2x6 + IR dome) but would not have a 'L' shape. In addition, more technic connections (holes instead of studs). - Part usage: the L shape makes difficult the integration into small (compact) mocs. - Part name : 2 upsidedown studs. - Part description: --> A regular 2x4 plate, but in a much-needed color; dark green. - Part usage: --> Just hear me out. Currently, a plate does not exist in dark green that is smaller that 4x8. Having a 2x4 plate would greatly help matters in this department. My suggestion is simple and easy. Description: One of the smallest elements produced, basically just a stud. Useage: caps on fire hydrants, flowers, plants, landscapes and scenery. Why aren't they made in this colour anymore? Oh, and inverted cheese slopes would be really useful! However, I also agree with superkalle in that we don't need that many new parts and filling colour gaps would be better. Part usage: Excellent in making sloped roofs for vehicles. Part Description: Same as the one used in the Grand Carousel and some other Creator sets, but uses 3 types of Siren sounds used by emergency vehicles. but then without the plate (maybe a square one with studs on both sides would even be better). So that one could even make better use of SNOT. If one doesn't understand it, click here but then a 1 x 1 version. Uses are many and varied for a colour such as cream. - Part description: Imagine two of these adjacent to each other. - Part usage: A useful brick to add more detail to an MOC. I would personally use it to create even smaller scale houses and other features. - Part description: Similar to this but with 180 degree rotation instead of 90. - Part usage: For items such as see-saws, or anything that requires rotation on the spot. - Part description: A slope brick with studs on the actual slope. - Part usage: For creating non-perpendicular walls and other surfaces. - Part description: Literally a cube-shaped brick (width, height and depth of one stud) with holes on each side. Think the reverse of this piece. I'm thinking of a 1 x 1 brick, but it could also be a 2 x 2. - Part usage: Would be very useful for SNOT building. Although Technic pieces can be used instead of this, there's the issue of the height of a standard brick to contend with. - Part description: The reverse of the last idea: a cube-shaped brick with studs on each side. - Part usage: Would also be very useful for SNOT building. - Part description: A 1 x 1 version of the 2 x 2 round tile. - Part description: One of these with grooves on the sides, similar to the handles on this. - Part usage: For decorative purposes, I suppose. - Part description: This, but with stop rings on both sides. - Part usage: For placing bars between objects, without having to worry about adjusting them. - Part description: Imagine a one- or two-stud wide version of this, coupled with a thin door like this. It would work a lot like the garage door parts. - Part usage: For easily creating sliding doors for buildings. This is something I've seen quite a few people try to emulate using existing parts, and something I'd really like to use. - Colours: white, light/dark bluish grey, dark green, red, dark red. - Part description: A windscreen piece to fit this cockpit, in the style of this existing windscreen. - Part usage: For anyone who doesn't want to be stuck using this rollcage piece. Imagine what kind of spacecraft or vehicles could be built with a windscreen for this part.